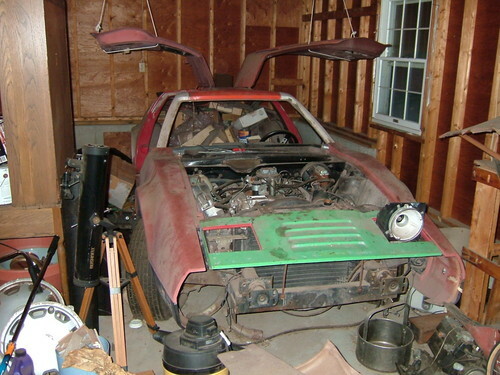 Editors Note: The restoration of VIN 717 by Mike McCluskey, and the restoration of VIN 2391 by Tim Hansberry, are a testament to what can be accomplished by the right attitude, enthusiasm, determination, and perseverance, of even a Bricklin needing an overwhelming amount of work ! 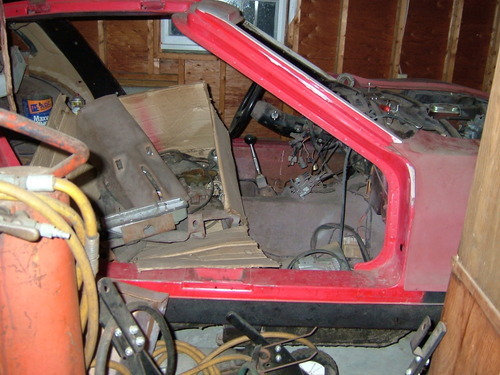 Congratulations to Mike McCluskey, and Tim Hansberry on their outstanding Bricklin SV-1 restoration accomplishments ! VIN 717 view from the passengers side, as stored and found. 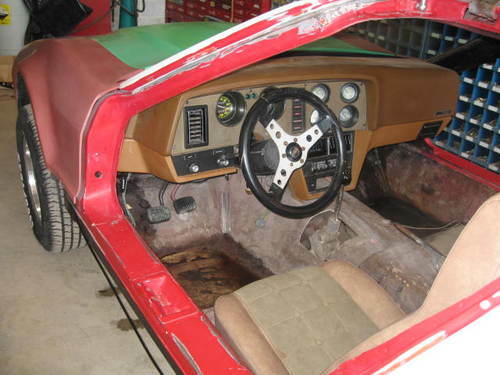 VIN 717 dash installed, during restoration, March 6, 2008. 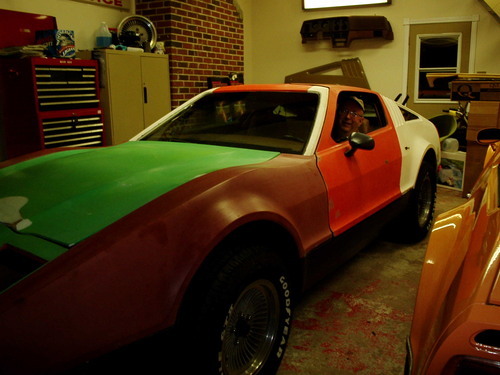 VIN 717 in the garage, nearing completion, awaiting paint, May 2, 2008. VIN 717 getting closer to complete restoration, originally White, painted Suntan, see other VIN 717 photos at the top of this page. Photo courtesy of Mike McCluskey. 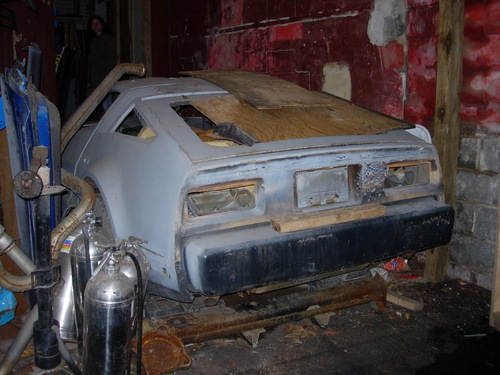 Photo dated August 17, 2009. VIN 717 as photographed September 7, 2009. 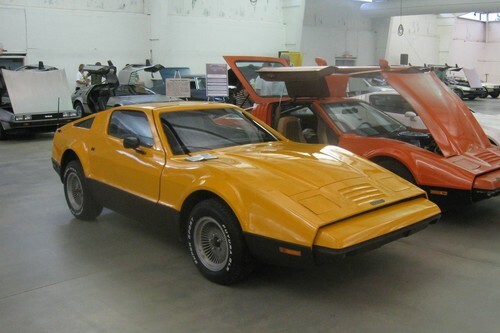 This Bricklin was once on the Bricklins Remembered Page ! Photo courtesy of Mike McCluskey. 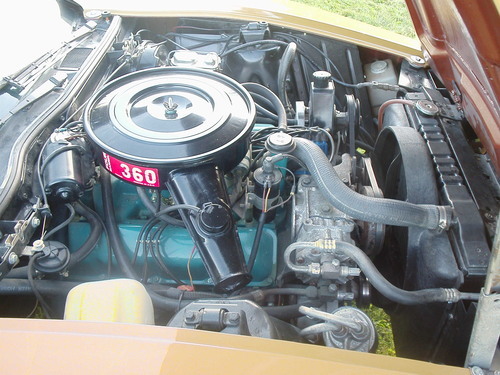 VIN 717 engine compartment as dated September 7, 2009. 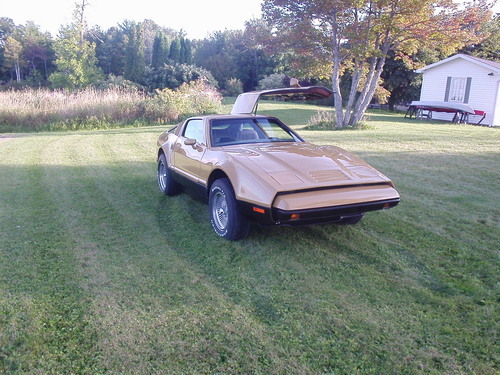 This Bricklin has come a long way back ! 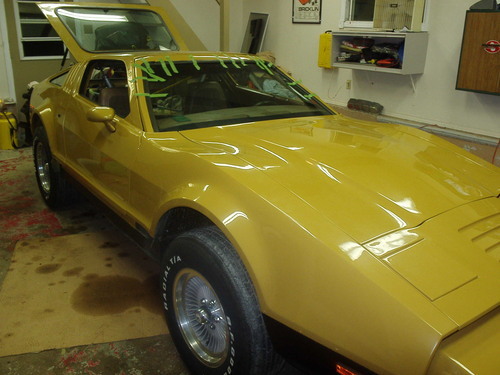 It is amazing what can be done with time, patience, and TLC !!! Photo courtesy of Mike McCluskey.